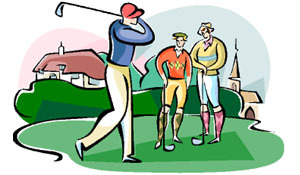 You may have seen or have had to play a shot out of a sand bunker that some call a buried lie or a fried egg. Be forewarned that the buried lie is the mother of all sand shots. If you don’t have any experience in playing a buried sand shot, you may try to play it like all the other sand shots you have played before. Don't do that because this is not one of those types of sand shots. First you can’t see the back of the golf ball cleanly; there is sand up around the golf ball. To get the ball out of a situation like this you don’t open the club face. You square it up and dig after the ball. 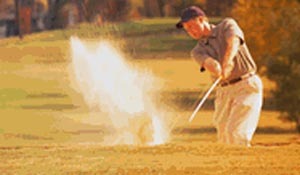 It is very important that you keep your swing moving through the sand. Here's an important tip, in addition to knowing your ball position and watching your length of swing. The length of your follow-through will determine how far out of the sand your ball will travel. Finish your swing high for long sand shots. Try this and see if it won’t help.